Expert FAQ: How Can States Encourage Drivers to Buy Car Insurance? Getting in a car accident is never any fun, but at least insurance will cover your repairs – that is, if both drivers are insured. Unfortunately, for many in the U.S., that’s not a safe assumption, despite state minimum car insurance requirements. Earlier this month, the Insurance Research Council estimated that 12.6% of drivers on American roads were uninsured, and in some states, it’s closer to 25% – or more. “My guess is whatever numbers you find about uninsured motorists are low compared to what they really are,” says Dr. Jack Taylor, Joseph S. Bruno professor of retailing at Birmingham-Southern College. Why don’t some drivers buy auto insurance? Experts agree that economics is a major cause of uninsured driving. “The unemployment rate and the number of uninsured drivers are pretty closely correlated. When people lose their jobs, auto insurance is often one of the first things they consider dropping,” explains Dr. Tim Query, associate professor of finance at New Mexico State University. 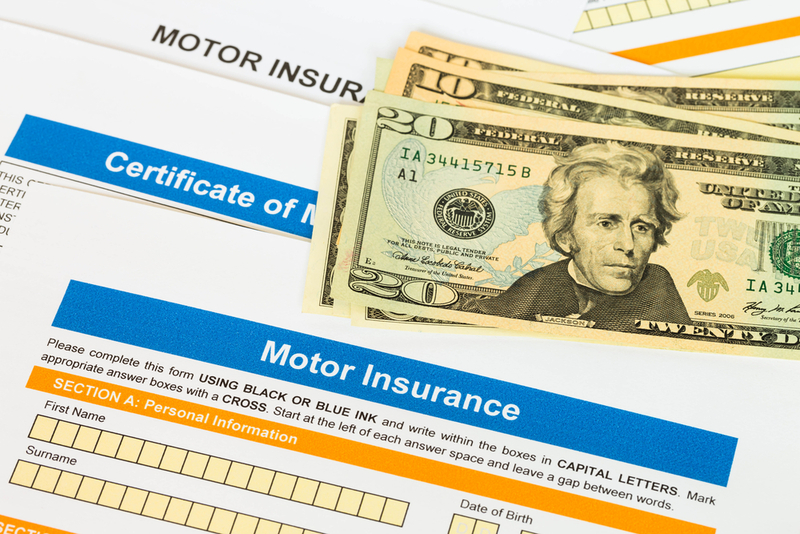 Some drivers in uncertain legal situations may also go uninsured. Because many carriers require a driver’s license number to sign up for coverage, undocumented immigrants may drive without insurance. Hood sees similar issues with those who drive on suspended licenses.“It’s not unusual that they also get cited for failing to maintain insurance,” he says. How can states encourage drivers to buy car insurance? Different states have tried to address every angle of the uninsured driver problem. However, each has a unique cultural and legal landscape, making comparison difficult. Some states have responded by beefing up fees and other penalties. Hood has seen many states and cities impound uninsured vehicles. California and the city of Dallas both allow the towing of first-time offenders. Some – including New York and Ohio – reserve the right to suspend uninsured drivers’ licenses and make them pay the reinstatement costs. Others rely on technology to identify uninsured drivers. “Some states have created the computer capacity to confirm that you’re insured at the time you get a plate,” Hood adds. Getting insurance isn’t enough – drivers must maintain it. To this end, California has created a low-cost auto insurance program, targeting low-income and minority consumers. Eligible driversmust meet income guidelines and maintain a generally clean driving record. If they do, they can purchase coverage for a maximum of $338 per year, depending on their county. Most states also have assigned risk pools that can help drivers with blemished records access insurance. A handful of states have legalized driver’s licenses – or privilege cards – for undocumented immigrants. Proponents of these laws often argue that by enabling all drivers to pass the same tests, they make roads safer. The laws can also enable access to insurance. The jury is still out on most of these enforcement methods. Many areas lack research, and what research exists is often mixed. In addition, what works for one community may not work for another. Take undocumented immigrant licensing, for example. Query’s research has found that states that allow undocumented immigrants driving privileges see varying rates of uninsured drivers: “New Mexico is still one of the highest, and Utah is still one of the lowest.” Though both states’ rates of uninsured drivers have trended downward in recent years, they’ve only moved a few places in overall rankings – and New Mexico’s estimated rate still tops 20%. As for stricter penalties, Query believes they’re “somewhat helpful,” especially when combined with automatic verification programs, which alert states if drivers drop insurance. This detects drivers who may buy, then immediately drop insurance. It also means troopers in these states need not always stop drivers to find out whether they’re uninsured. “It’s a growing trend for states to impound uninsured vehicles, but there’s not been a formal evaluation” of its effectiveness, Hood notes. Drivers have a much easier choice than states when it comes to protection from uninsured drivers.